The Closet Library: Spring Cleaning Giveaway! It is officially spring! Yes, there is still lots of snow on the ground so it may not look like spring. But I can feel the air getting warmer! Each spring my local library does a used book sale. I always use this as a way to push myself to do some spring cleaning on my bookshelves and unhaul some books. I ended up unhauling about 18 books. A majority of them are finished copies but a couple are ARCs that I plan to donate to ARCycling. But before I donate these books to the library I thought I would give you a chance to win some of them! These are the books that you will be able to choose from! 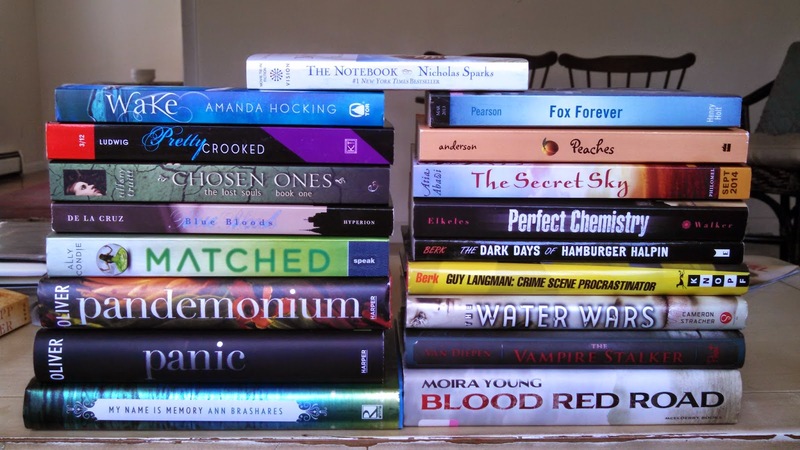 Two winners will be able to choose a book of choice from the stack above! Thank you for being wonderful followers!